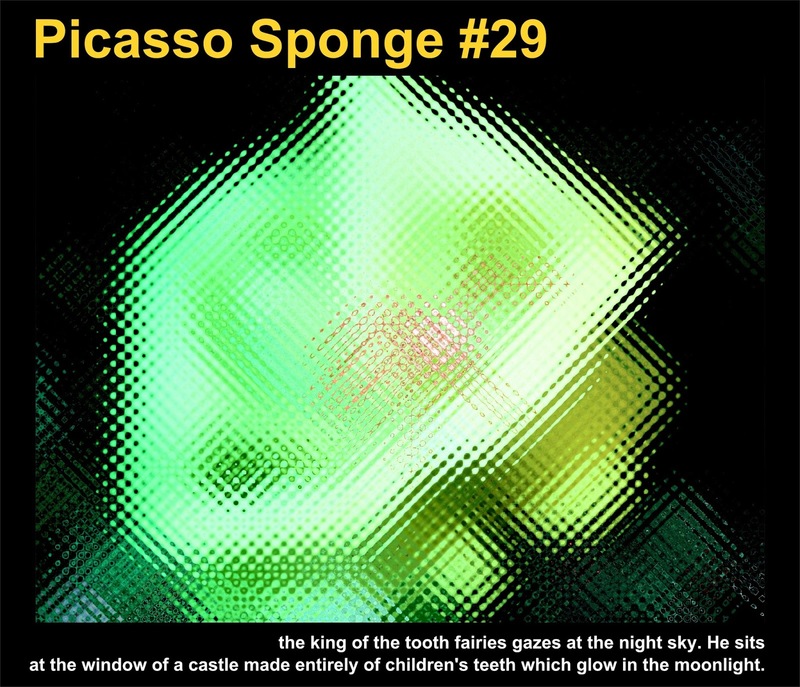 This Picasso Sponge the king of the tooth fairies gazing at the night sky. He sits at the window of a castle made entirely of children's teeth which glow in the moonlight. Haha! I'm gonna try and keep both my teeth and my jaw!